If you're looking for a secluded place to get away from it all - look no further than Montana. Known for its big blue sky, rolling planes, and staggering mountains - this state is sure to give you the break you need from big city life. 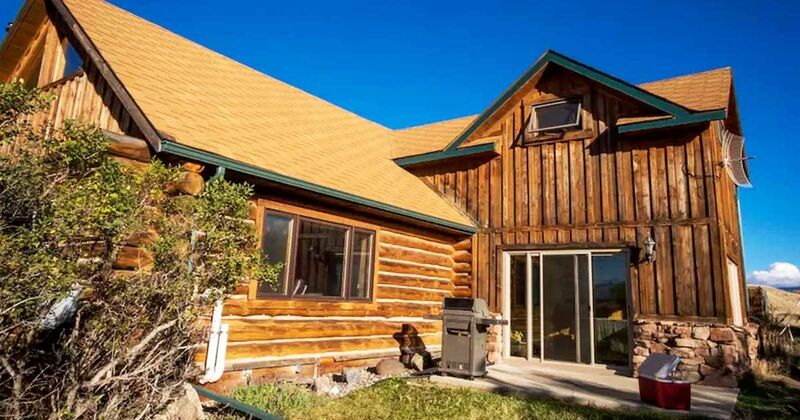 In this incredible custom built log cabin property, you look out onto your own private slice of beautiful Montana land from every room in the house. There are 3 bedrooms, so bring along as much family and as many friends as you can fit. You're going to want to share this incredible home and experience with them. 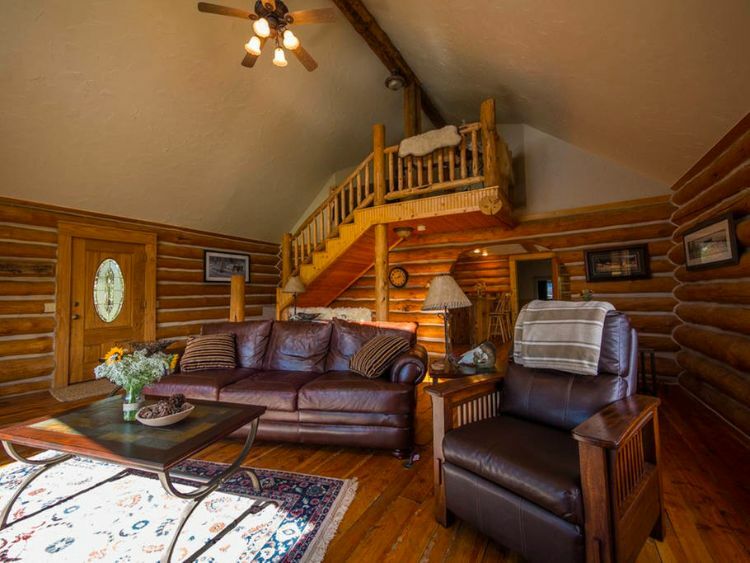 The living room is stuffed with beautiful oversized leather furniture and is surrounded by those big golden logs. This room also boasts a fireplace and a view of the grand staircase that leads upstairs. The dining room arguably has the best view in the house, which is great because that means you're going to want to sit around that giant wooden table longer - chatting with family, and making memories. 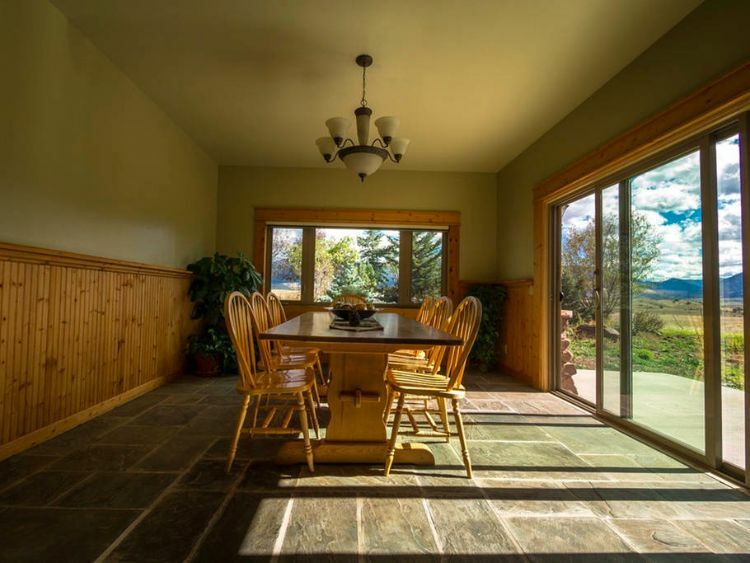 We love how the glass doors bring the view right inside the home, so you're never too far from the beauty of this state. 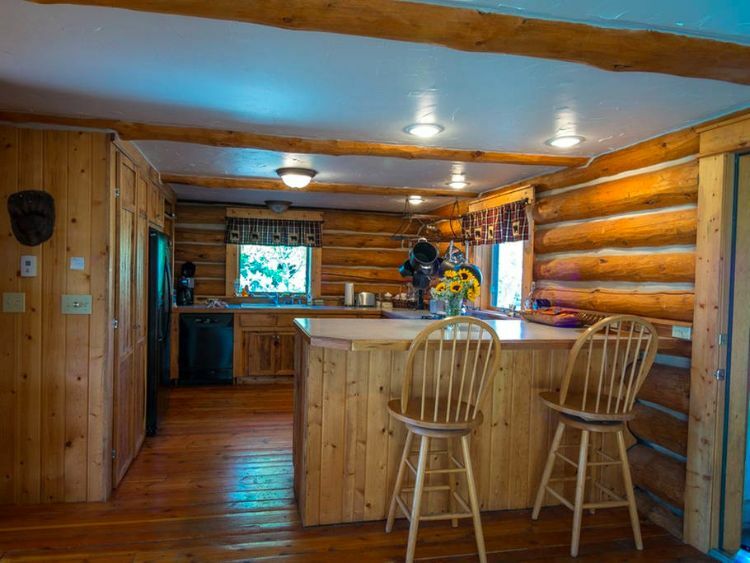 The kitchen is quite large and decked out in warm, knotty wood that makes this space feel cozy. We love the peninsula too - it's ideal for extra prep space, eating breakfast, or just for visiting with guests while you cook. 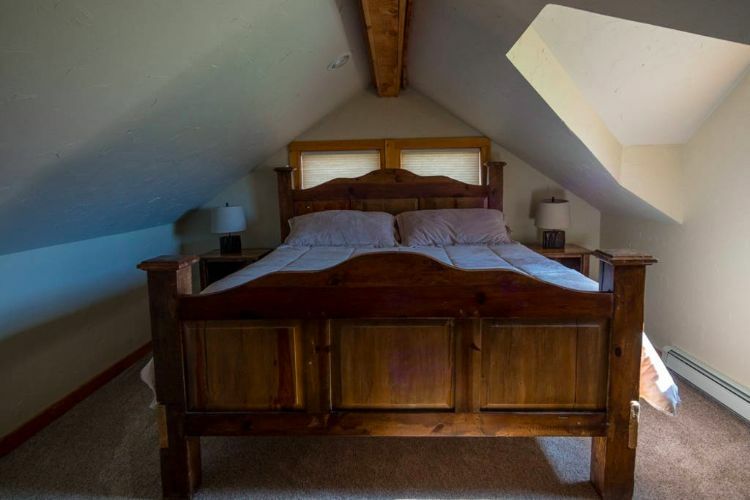 There may be three bedrooms in the Montana cabin, but the master suite is the space to covet. It's tucked upstairs in an angled nook for a cozy feel, and there's even a beautiful beam right above your head. The bathroom is the real show-stopper of this property. 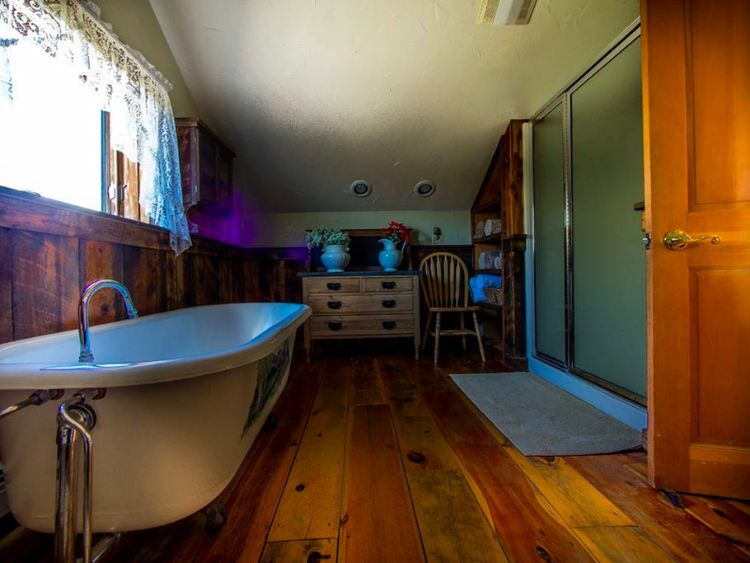 We are obsessed with those big, aged planked floors and the clawfoot tub. The tub has a hand painted scene on it - totally unique. This is the perfect place to have a soak and relax after a long day adventuring out in the countryside. Already planning your Big Sky Country get away? Share this stunning property with your friends on Facebook, Twitter, and Pinterest.